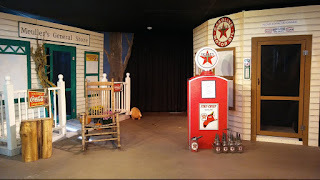 "Unplugged in the Middle of the Field", our monthly variety show starring Hans Mueller and Floyd Kowalski will feature artist Kathy Gullo on May 25th at 7pm. In addition to Kathy we have the Unknown Comic, The "Lit Lady", Wait Wait Westfield (compete with prizes! ), musicians, crafts, Petunia the Pig, and so much more. Come laugh with us for a mere $5, you will be glad you came! 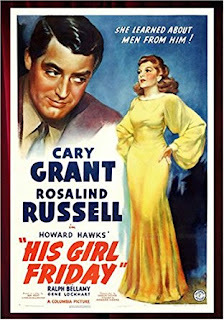 Tuesday, May 15th we will show "His Gal Friday" at 7 pm. In addition to the movie we have cartoons, a newsreel and musical selections from the same year. Our movies are shown for FREE in our intimate theater on the third floor of the Presbyterian Church in the Jacqueline Philips Theater. We hope you will join us, we have movie night the third Tuesday of each month, make movie night part of your social life!! Concessions are available. Commemorate a loved one living or deceased by sponsoring one or more of our red theater chairs at LAKE SHORE CENTER FOR THE ARTS. It is a mere $35 for one with quantity discounts available. Your dedication will be placed on a gorgeous donor wall display that is right outside the entryway to the Jacqueline Phillips Theater. Your dedication will be seen that all that enter the theater. What a GREAT way to honor someone special living or deceased. Go to this on line registration site to order now!